Worship in Crossroads is, has been and will continue to be an integral part of our church lifestyle. It is as alive as we are and reflects the work that God is doing in us individually and as a group of people. To worship is to fulfil the very purpose of our creation. The people who come to Crossroads not only have a desire, but a need to worship our God and we aim to make our times of worship inclusive and accessible. Our all age services try to incorporate something for everyone. 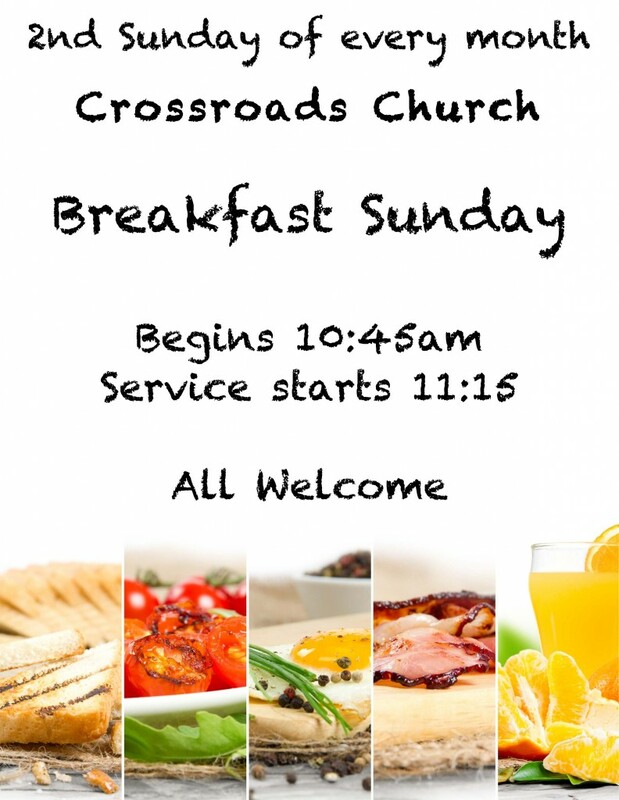 On the 2nd Sunday of each month we begin by sharing breakfast (bacon and sausage baps). Evening services are relaxed and informal with a diversity of speakers and worship leaders. Our worship groups vary from full bands with backing singers to individual worship leaders. In terms of our music/songs we offer a blend of new modern worship with some more traditional influences. We aim to meet during the week to have fellowship together, encourage one another and to learn more about how to worship as one body.